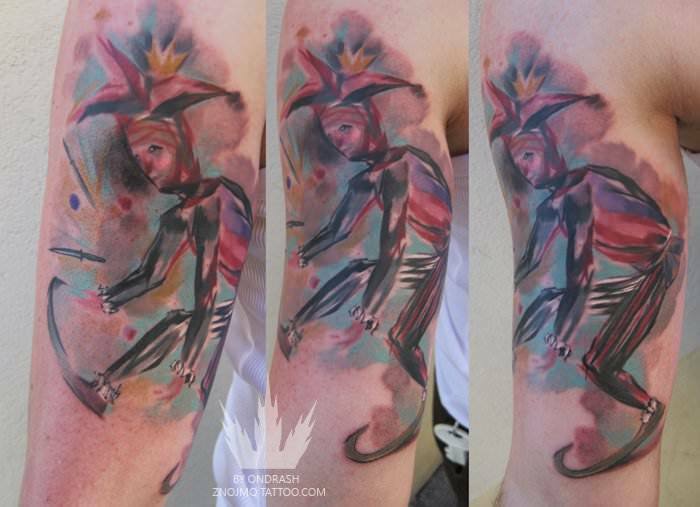 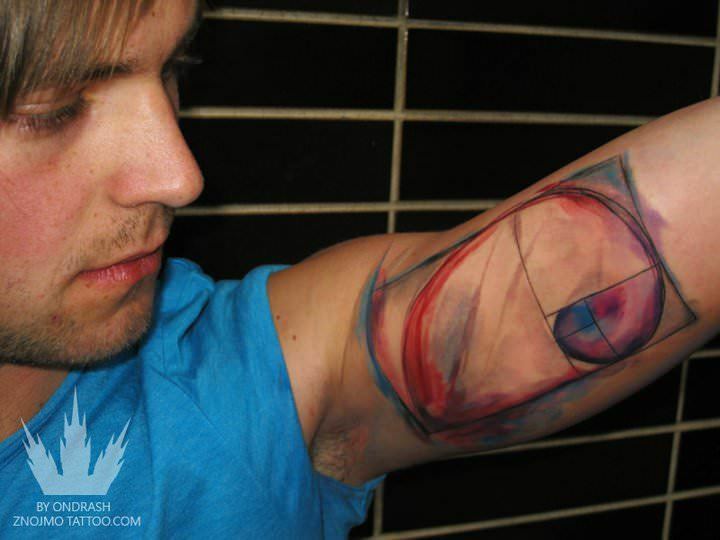 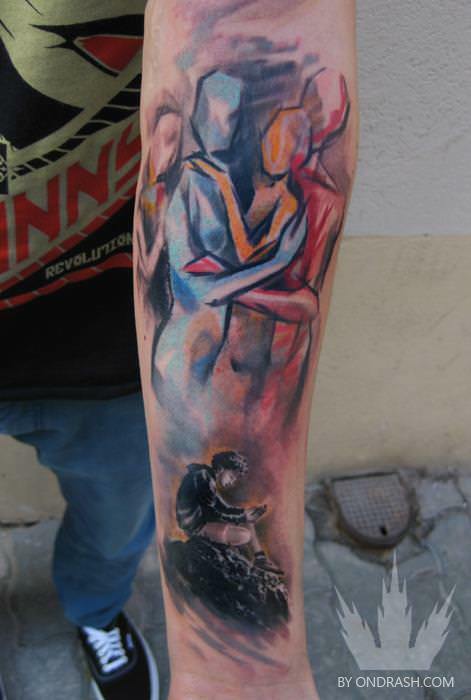 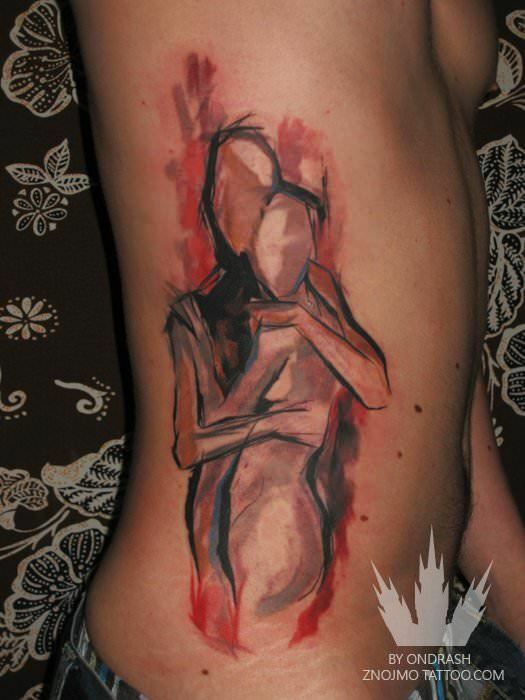 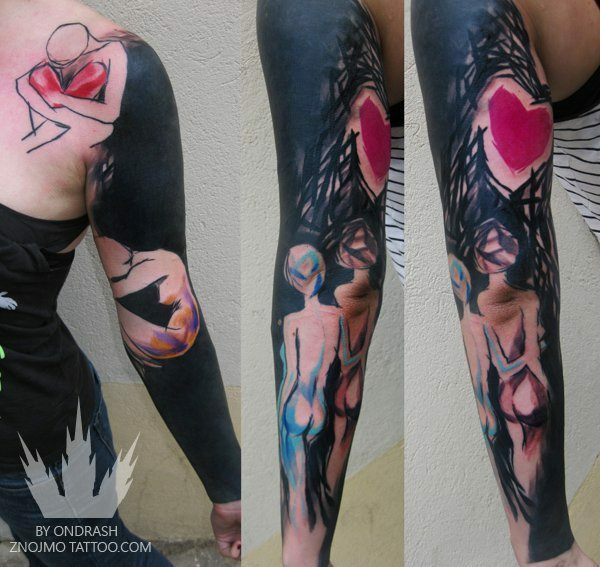 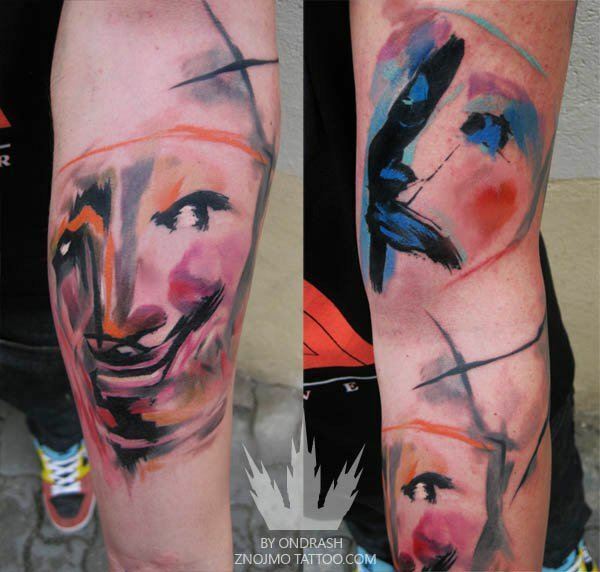 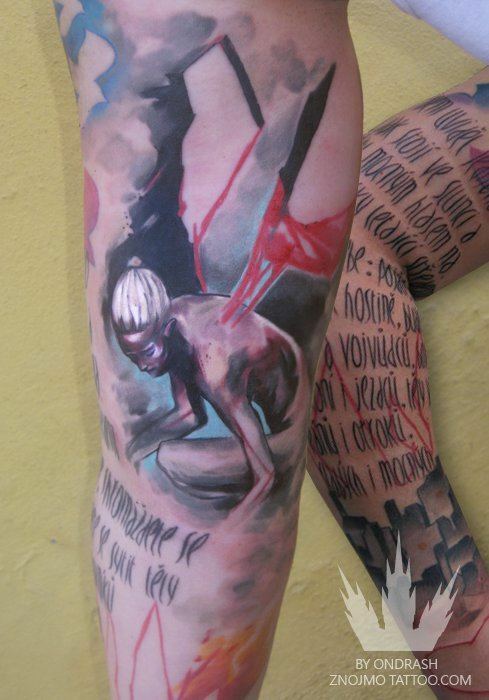 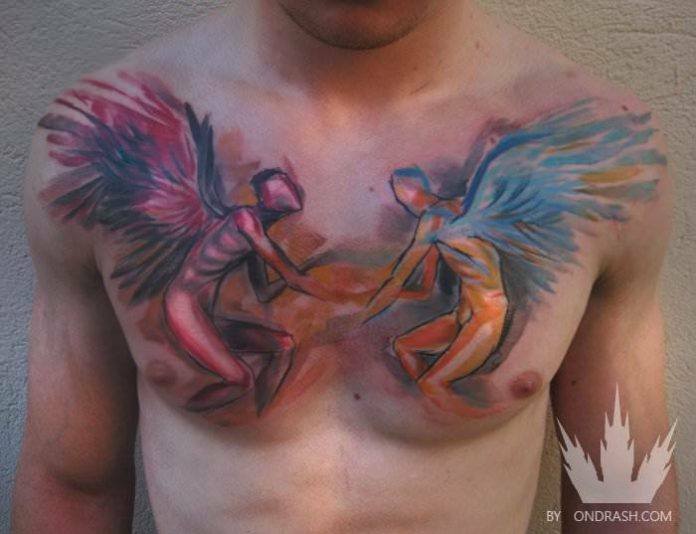 Ondrash is a tattoo artist form the Czech republic who has a unique tattoo style. 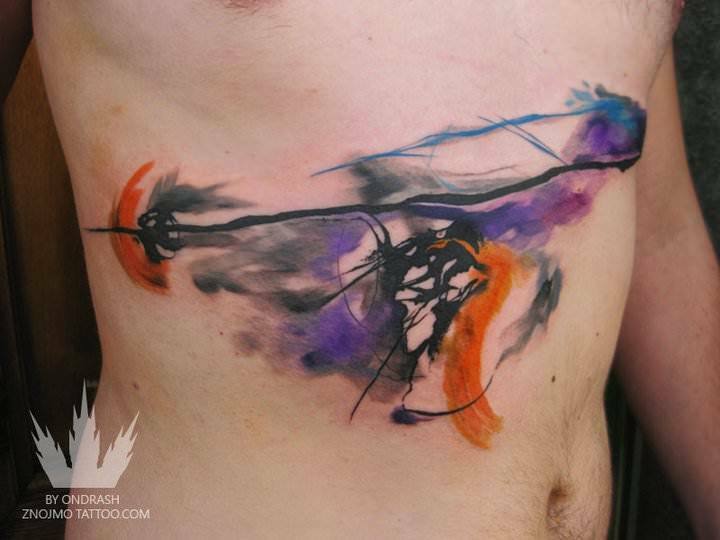 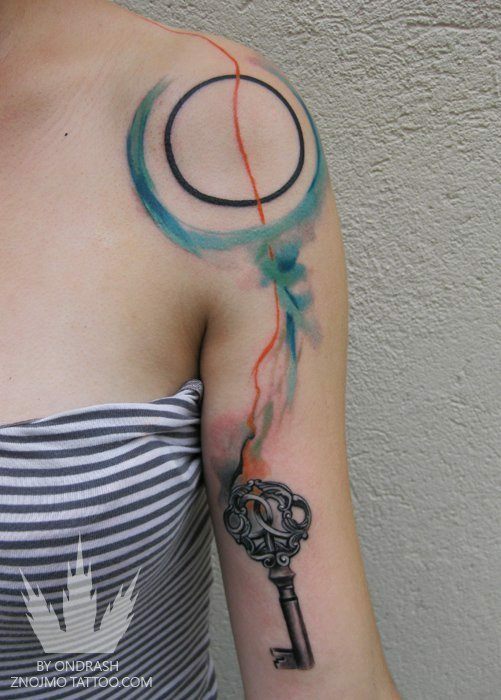 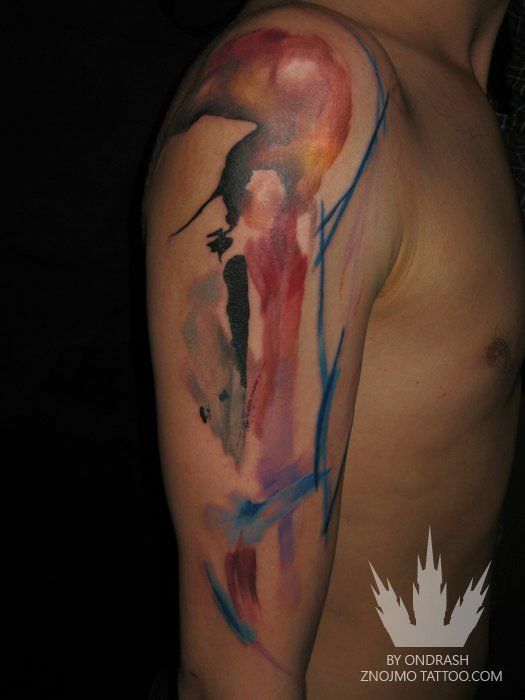 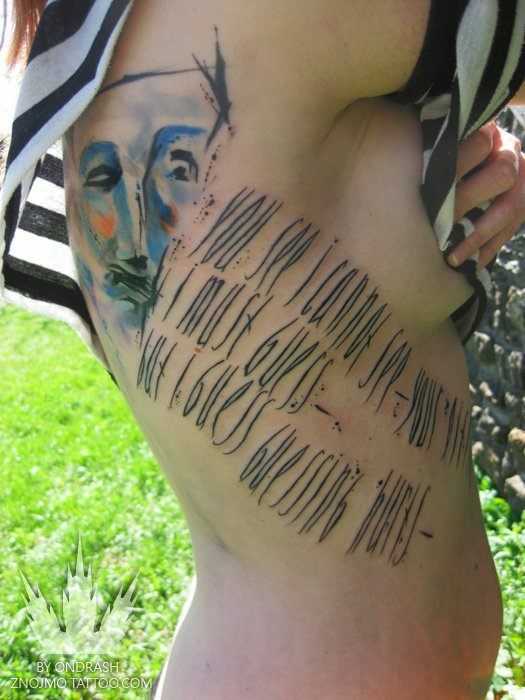 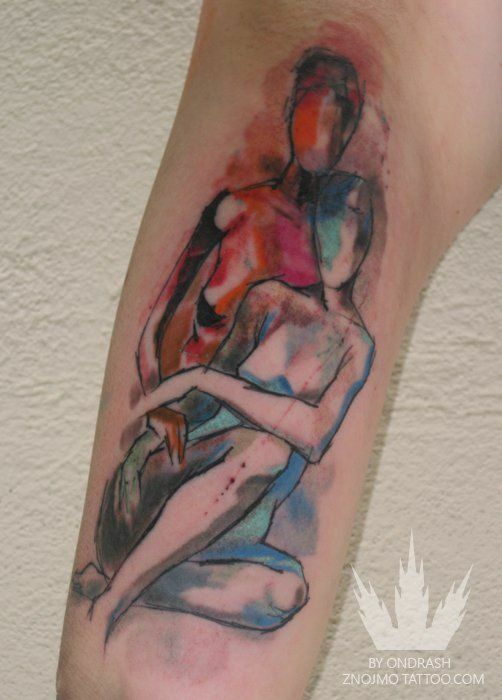 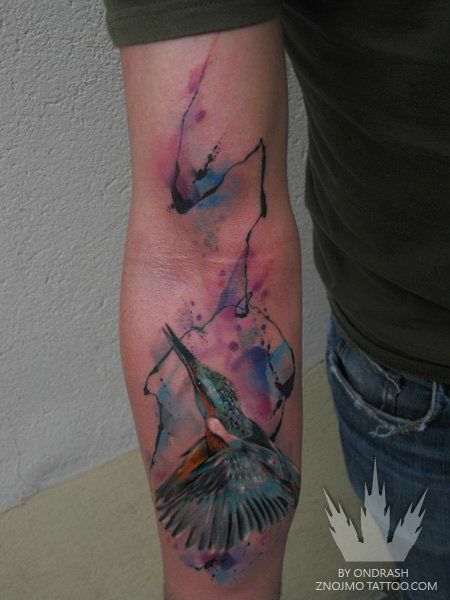 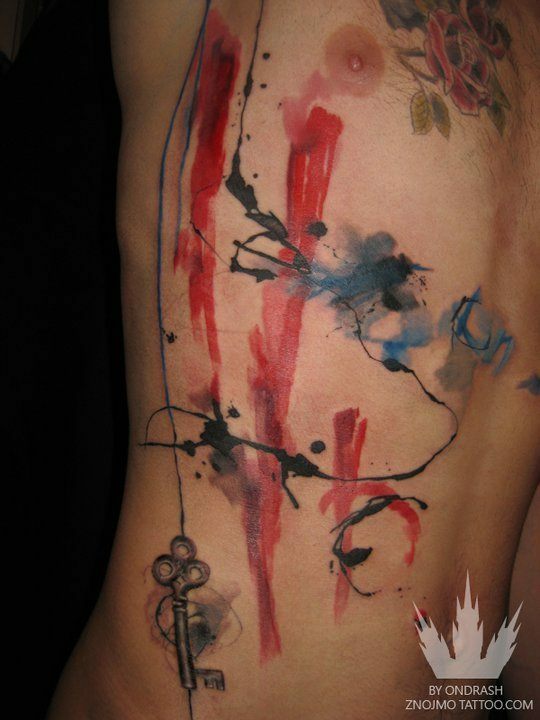 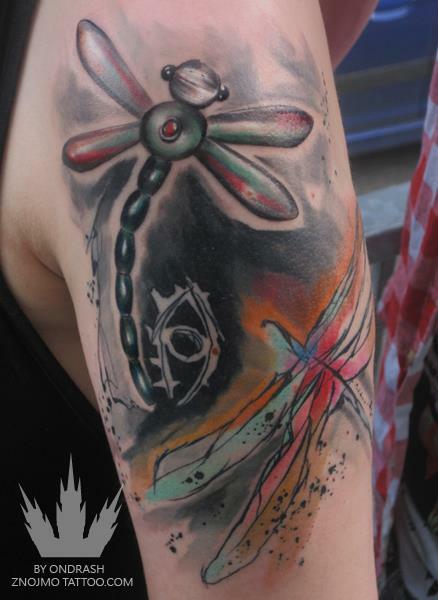 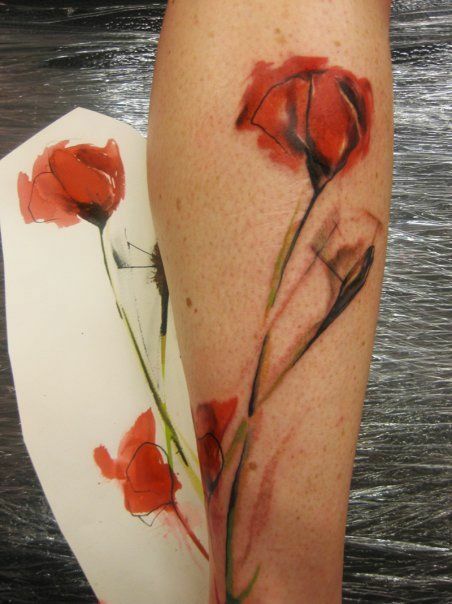 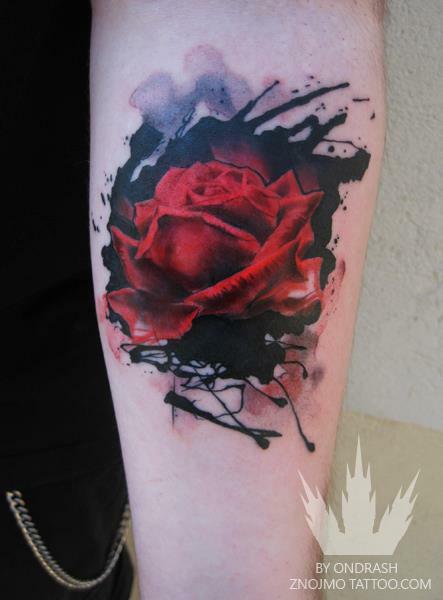 Using the vibrating needle of a tattoo machine, Ondrash carefully creates tattoos that mimic watercolor paintings, complete with splash marks, dripped ink and brush lines. 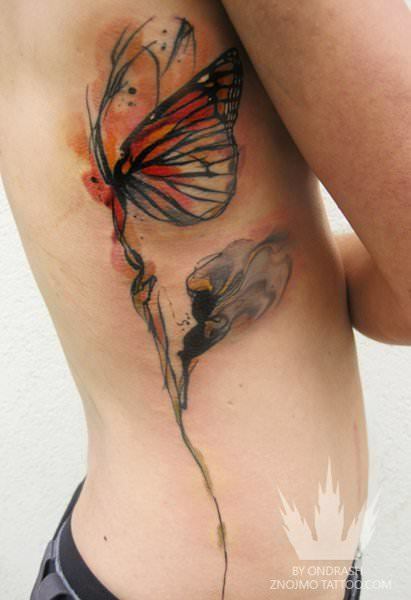 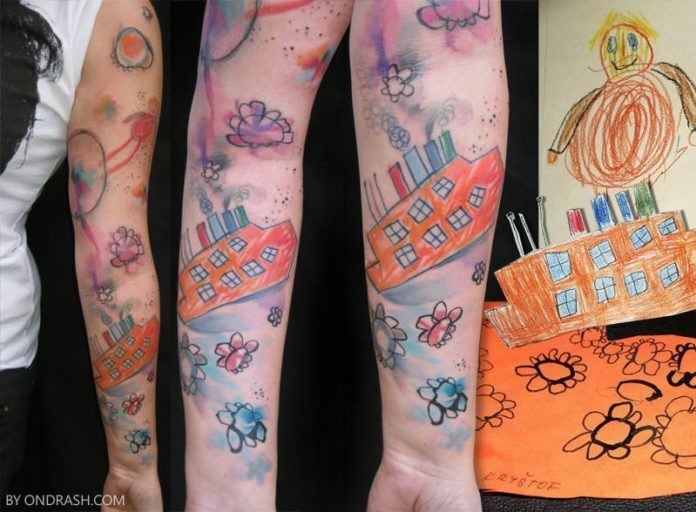 This style of tattooing is becoming increasingly popular as tattoo fanatics seek artistic, individualized designs to express themselves with.